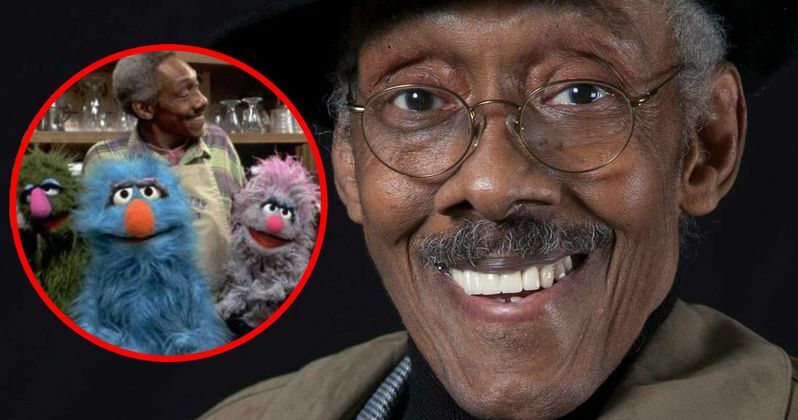 David Langston Smyrl, best known for playing Mr. Handford on the long-running PBS series Sesame Street, passed away last night at the age of 80. Philly.com reports that he died at the Lankenau Medical Center in Philadelphia after battling lung cancer. Here's what David Langston Smyrl's wife Cheryl Pajil Smyrl had to say about her husband in a statement. "He was a funny man, a good man, and he always had jokes for you. He was loved by everyone, and very creative." David Langston Smyrl grew up in North Philadelphia and started performing as a coffee house poet in Greenwich Village in the 1960s. He began his career in television in New York on a show called Express Yourself, and he appeared on the Broadway play Working in 1978 before moving to California to write for the hit sitcom, Benson. He won a People's Choice Award for his work on the show. The actor then landed a gig as a gag writer and audience warm-up man for the The Cosby Show. He also played contractor Sam Lucas in five episodes of the hit comedy, which he stayed at for five years before leaving to take on the role of Mr. Handford in Sesame Street. He had taken over the role from Leonard Jackson, who portrayed the character as a grumpy old man. But when David Langston Smyrl took over the role, he changed Handford to a much more delightful character. He stayed with the show from 1991 to 1995. The actor also starred in films such as The Preacher's Wife and Little Senegal, and he also guest starred on Law & Order and ER. He was also active with voice over work in commercials for Texaco, McDonald's, Pepsi, Coca-Cola, 501 Jeans, Canada Dry, Delta Air Lines, and GMC cars and trucks. The actor is survived by his wife Cheryl Pajil Smyrl and his stepson Pancho Scott. David Langston Smyrl and his wife lived in Connecticut for many years, but they returned to Philadelphia in 2004. The actor often volunteered his time to perform in shows at schools, colleges, and penal institutions. Do you have any favorite memories of David Langston Smyrl as Mr. Handford on Sesame Street? Chime in with your thoughts below.